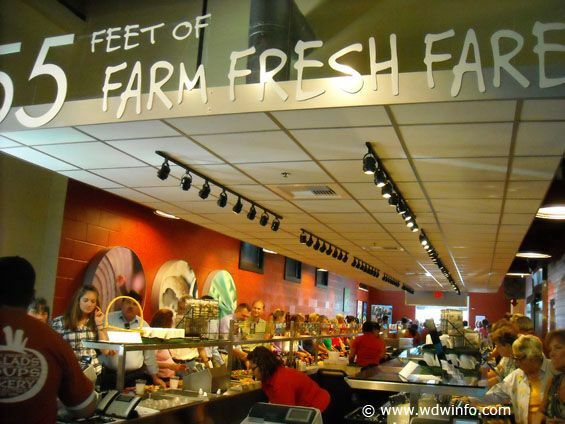 Sweet Tomatoes in the Crossroads Shopping Center in Downtown Disney, Lake Buena Vista Florida opens on Monday April 27, 2009. I had the opportunity to have lunch here yesterday during a benefit soft opening for Give Kids the World. This is a short taxi ride away from Walt Disney World if you are looking for something a little healthier or budget friendly. One of the things I have missed since I moved to Florida is a great soup/salad bar. I love a good salad with all sorts of things I would never buy for my salads at home. I was in heaven at Sweet Tomatoes. 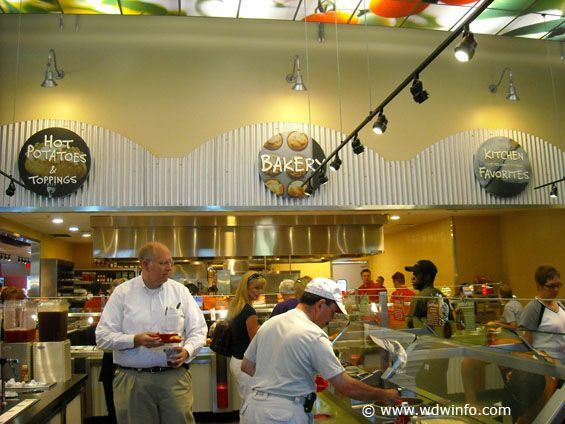 The salad bar is set up cafeteria style where you can select from premade salads or the ingredients to make your own. They had plenty to choose from. I am sure even the pickiest eater could find something to love on the salad bar. At the end of the line you get your silverware, drink cup, and you pay the cashier. During busy times they will seat you but otherwise you are free to find the perfect table for your family. Once you are seated they do have someone walking around to take your trays and even refill your drinks if you like. They do have little cards you can leave on the table to indicate you are still using the table. They also have a hot foods section. They had several selections to choose from. I also was surprised to see that they had baked white and sweet potatoes with toppings. I had a choice of 7 soups and plenty of bread choices. Once I cleaned my plate I headed up for the dessert selections. Again they had several choices and the ice cream seemed to be very popular with all the toppings. They have the typical drinks but the one I wanted to try was the strawberry lemonade. That came highly recommended by several people. It didn’t dissapoint. I thought it was great that they used the two days of soft openings for fundraising to benefit Give Kids the World (GKTW). It was a worthy charity and one I support. 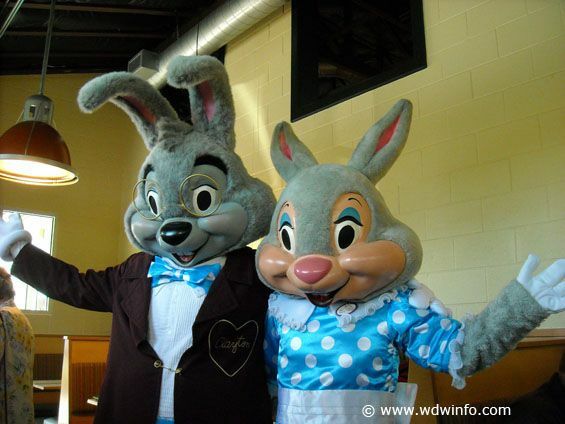 They had some of the characters and employees walking around. The DIS has been supporting them and we have another fundraiser coming up for GKTW also. 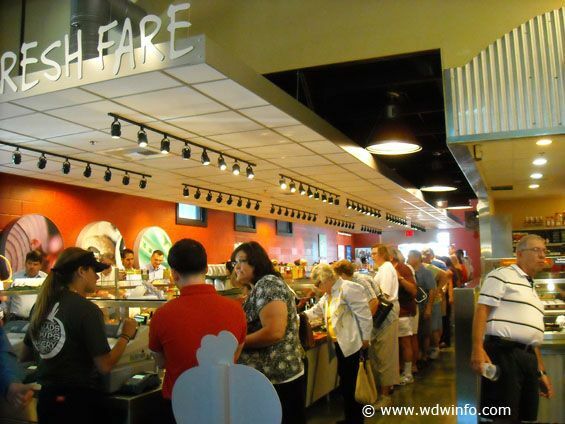 You should add this restaurant to your list of choices when visiting Walt Disney World. I know I will be going back!